Archer on Airguns: 2240 Custom Wood Grips Are Back! Our first batch of custom wood pistol grips sold out very rapidly- much more so that we had planned. 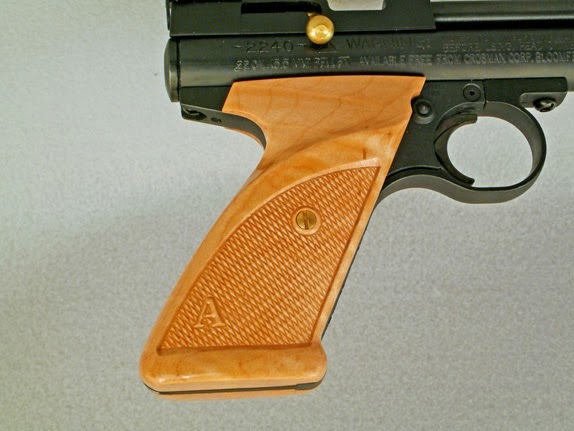 But now we are have a fresh batch of ambidextrous wood grips for the Crosman 2240 and similar air pistols in the two most popular woods - walnut and curly maple. 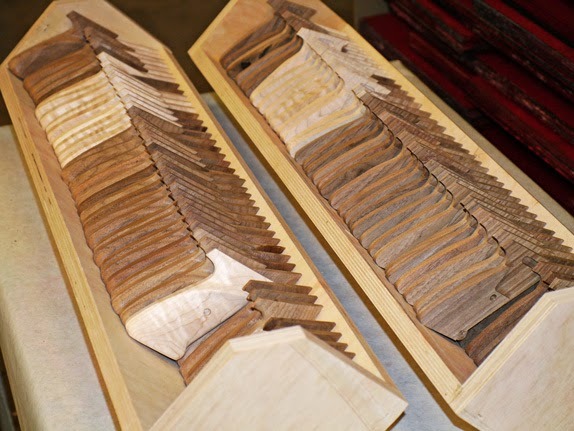 As a reminder, these grips are beautifully CNC-manufactured from selected wood. They are thicker and "fuller" than the standard Crosman plastic grips so as to be more comfortable for larger hands. The checkering helps achieve a secure grip but is not overly aggressive. The design is ambidextrous. 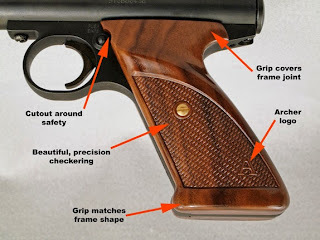 As always, please remember that these grips are made from real tree wood and so each one will have a slightly different grain, pattern and color to the wood. Our photographs are representative of general production. I just got a set in walnut. They fit my Crosman 2300s perfectly. Good grain and great finish. Love the 2240! Definitely a classic in my opinion.